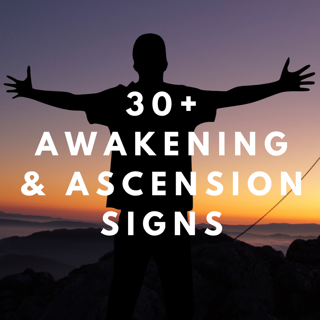 Have you heard of terms and expressions such as 'the shift', 'consciousness', 'a new earth', 'new paradigm', 'awakening,' 'ascension', the 'Golden Age', the 'Age of Aquarius', 'positive thinking', the 'law of attraction', 'The Secret', 'conspiracy theory', 'we are spiritual beings in human bodies', and so on? Earth and its people is going through a rapid, progressive series of changes and transformation. 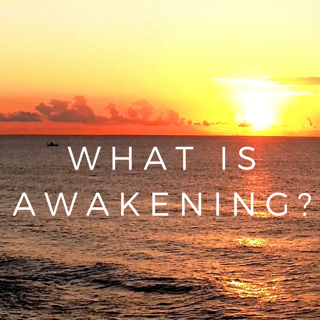 We are 'waking up' to a new way of being and looking at the world. We are starting to understand more about energy and quantum physics. Science is starting to elucidate upon concepts such as bent time, laws of nature and creation, the existence of many other dimensions, and how our own thoughts are energy and affect the physical body. Statistics show that a record amount of people believe in God, angels and ghosts, and have had some kind of psychic, spiritual, other worldly or paranormal experience. It is by no accident that this is all happening at a time in our human evolution, when the 'veil' between our world and the spiritual realms (other dimensions), is thinning. There is a higher belief and interest in the existence of other worldly planets and beings (aliens and UFOs), and a greater mainstream acceptance of spiritual concepts, alternative lifestyles, mind-body-spirit self improvement and personal development, as well as paranormal/supernatural phenomenon. At the same time, there is a natural interest, revival, resurgence and rebirth if you will, in ancient mystical wisdom and esoteric knowledge. There is a heightened curiosity about the occult, witchcraft, paganism, and a more free exploration seeking of truth through a broader sense of spirituality outside the box of conventional religious structures and institutions. In this section of my website, I provide lots of information about these subjects for you to explore, and will keep adding more over time. 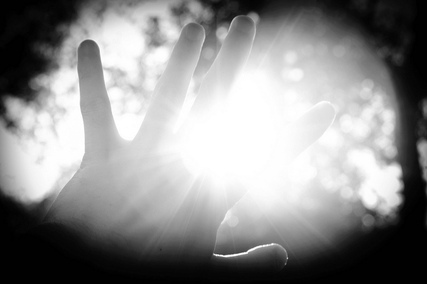 To stay tuned, get my intuitive monthly newsletter Awakening Spirit. 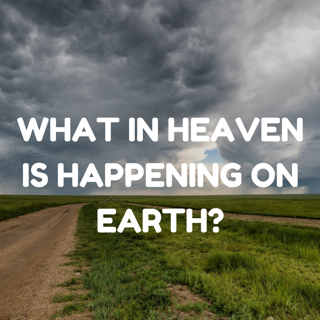 What in Heaven, Is Happening on Earth? Energy Shifts - What is Happening to us? Sometimes I wonder just what kind of underlying truths there are in some myths, legends and fairytales. Take Sleeping Beauty for instance. Could it be possible that we are all under some kind of 'spell', a 'mass amnesia' of sorts, like all the people in her 'kingdom'? It certainly feels like that at times. While it might not be a 'spell' as such (although perhaps it is), it feels as though something is going on, where we are in some kind of purposely built bubble or matrix, and when we come into this life and start to come unto our own, it can feel as though there are times you have snippets of awakening out of what otherwise feels like a spellbound coma. There are so many mysteries of the world that either remain hidden, or unanswered. Yet nothing could be more freeing than finding truth under all those veils. You know, they say there really is a 'veil' between the worlds, one that blinds us and 'separates us' from the truth. Mystics, pilgrims, seekers and seers for centuries have known, or at the very least 'sensed' much spiritual truth that for others lays shrouded and seemingly inaccessible. It feels as though there is much yet be 'revealed'. And now we are in the time of breaking down the barriers that the veil has created. And while it may seem futile, pointless, distant, ridiculous, fantasy-like or exhausting to get to that pot of gold over the rainbow, what is becoming more of a new, or rebirthing reality, is that we are wanting to explore these hidden realms, or at least our own true selves, as we feel buried in a lot of quagmire and toxicity from this lifetime and others - all built up within us. That is why we often feel like we are going to erupt like a volcano, so much has been coming up to the surface to be acknowledged, cleansed and released. And under all of this, we have a burning, innate and insatiable sense that there is more, and an appetite for the redemption, happiness and to understand more about the mysterious universal and cosmic 'unknowns'. A lot of this also comes from a stirring of the consciousness, a deep tickle of the curiosity, and a feeling of great despair, unfulfilment or dissatisfaction. We are waking up to a new consciousness era. There has been a universal 'shift' around the turn of the millenium, as predicted by the Mayans and other ancient cultures, where we are moving away from a 'physical' plane of vibration to a more 'spiritual' one - and in this process people are starting to be more spiritually aware. This is where you get expressions such as 'thrive' rather than 'survive' - because that is the direction that earth and humanity are now taking. But in this process as you have no doubt witnessed, there is chaos. That is because of the play between light and dark that has been going on for eons of time, yet it is coming to some kind of long-winded crescendo - and people can feel it in the air and even sense it in their bodies. This is not the first time that there has been such a colossal shift on a mass scale, as we move in grand cycles. Earth is said to be around 2 billion years old, and there have been shifts into spiritual eras before, such as with the pyramids, and the long lost city of Atlantis - much of this sacred knowledge has been kept under wraps from the general public, in order for those who are secretly tyrannous and negatively minded, to continue a deep-seated need for control, greed and power in the world.